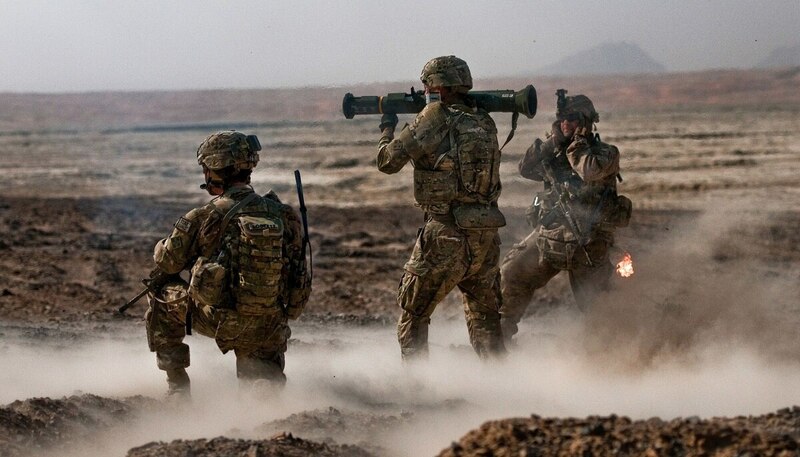 Military personnel who have trained with heavy weaponry may have been exposed to blasts that cause traumatic brain injury, a newly published study claims. Emerging evidence presented in a May Center for New American Security report suggests that extensive use of shoulder-fired weapons like the Carl Gustaf recoilless rifle, the M72 LAW or the AT4 exposes service members to “overpressure” of the brain, the effect when a blast wave traveling faster than the speed of sound causes a ripple of the skull, generating additional pressure on the cerebrum. Prevalence of these injuries — coined “the signature of today’s wars” — in troops has escalated dramatically since the Department of Defense began documenting cases in 2000. Since then, there have been close to 380,000 personnel who have reportedly sustained some degree of traumatic brain injury. And by 2007, head injuries were the most treated injury by the U.S. military, eclipsing chest and abdominal wounds, the study found. It was discovered in 2009 that military doctors rarely even addressed head injuries that didn’t show bleeding or penetration of the skull, CNAS found. Muddling the diagnostic process even further is that only the worst cases of TBI show up on most exams — TBI caused by a blast wave is unlikely to appear at all. The ambiguous detection process, coupled with the fact that symptoms are often confused with those of post-traumatic stress disorder, makes accurately assessing injury severity especially complex. The cumulative effect of repeated low-level blast exposure also complicates injury recognition, as TBI symptoms can manifest at a later point despite the absence of a singular contributing event. Those long-term effects can include “memory, attention, emotional, and mood problems that can last over a year,” the report said. The likelihood of developing an anxiety disorder, insomnia, fatigue, dizziness, irritability, headaches or seizures — all symptoms that can be confused for PTSD — also increases. The neurological toll of operating shoulder-fired weaponry is one Scharre knows well. Despite growing evidence of blast injury effects, military-grade helmets are not currently manufactured with a blast injury prevention requirement. And even if they were, it’s not certain that upgraded helmets alone could eliminate TBI. In fact, a 1999 study found that “51 percent of warfighters who only experienced explosive injuries in their lower extremities still had symptoms consistent with TBI, including vertigo, headache, and insomnia,” CNAS reported. Ideas to remedy the existing predicament include developing helmets with modular face shields and implementing the wear of blast gauges, small environmental sensors that can be fit to a helmet or shoulder to measure blast overpressure, acceleration and temperature. Documenting blast exposure history in service members’ medical records would help ensure necessary care is provided for service-connected injuries, the study suggests. It would also help enforce the oft-overstepped boundary of a daily blast exposure limit, a critical step in mitigating cumulative wear and tear. Until some semblance of certainty for diagnosing TBI cases exists, however, the costs of treating such injuries is expected to continue skyrocketing. The Department of Veterans Affairs estimated that TBI treatment cost $234 million in fiscal year 2015, the study found. That number is expected to balloon to $2.2 billion over the next decade. The findings of the study are currently being reviewed by the Army, the NPR report said.